We love raiding our boyfriend’s closets and how. Those comfy tee-shirts, baggy denim and cosy sweaters are the one thing girls can spend their lives in. While earlier, wearing boyfriend’s clothes was something only a brave-hearted woman would do, today the trend has caught an eye of Bollywood divas and they are rocking it the way we like. Making comfort the new trend, these A-listers have time and again given some major boyfriend trend goals by their style and panache. The oversized fashion trend has gained a lot of momentum and not just the Bollywood stars but even the designers on the international ramps are following the style rigorously and we don’t blame them, after all, it has got the best of both worlds- comfort and style. The trend is vast and covers baggy outfits apart from boyfriend’s jeans, like oversized sweaters, blazers, shirts and a lot more. Stars like Sonam Kapoor, Alia Bhatt, Anushka Sharma are sporting the look like a diva they are and are proudly owning to it. Take a look at the style files of these stars and take some major cues from their look. 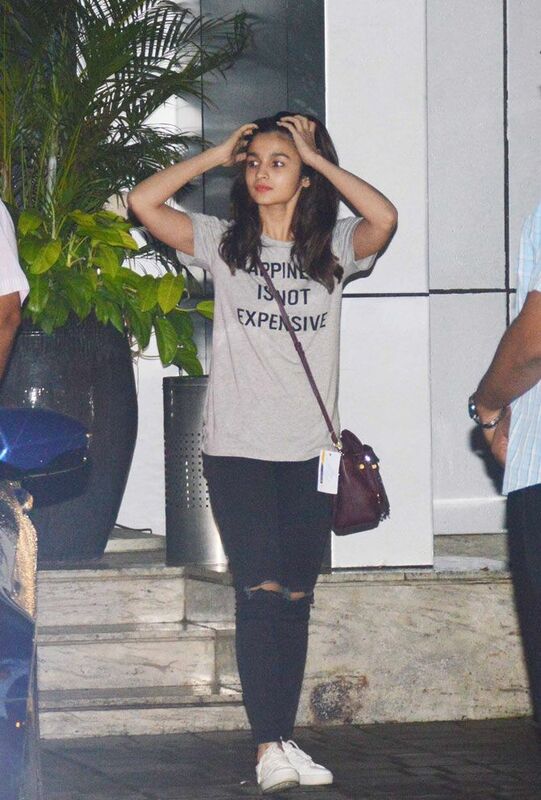 Alia’s super comfy tee is a steal, while Deepika Padukone is totally stealing a pair or two from her husband Ranveer Singh’s wardrobe. Priyanka Chopra too decided to step-up her fashion game by opting for a comfortable outfit.